Our 2021 Movies page contains the most accurate 2021 movie release dates and information about all movies released in theaters in 2021. Our list of 2021 Movies is even more accurate than IMDB. Click on any of the 2021 movie posters images for complete information about each movie in theaters this year. Trailers for each movie release of 2021 are featured on each page below. 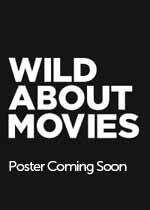 There is no other website that gives you more trailers, movie posters or chances to win free passes to free advance movie screenings of all movies coming to theaters in 2019 than Wild About Movies. Make sure you don’t miss out on any by LIKING the Wild About Movies Facebook page.